Assessing Internet governance arrangements requires an understanding of both the unevenness in access to and use of the Internet between the North and the South of the world, and of the disparities between developed and developing countries’ abilities to effectively participate in global Internet governance debates. Few developing countries participate in this debate, and even less in agenda setting for Internet governance. The proposed research seeks to understand how these factors transect with the notion of multistakeholderism as a form of deliberative democracy for Internet governance, which is often informed by assumptions from more mature markets and Western democracies. It does so by exploring the evolution of multistakeholderism through the mapping of the main international and regional instruments of the Internet governance ecosystem in Africa. 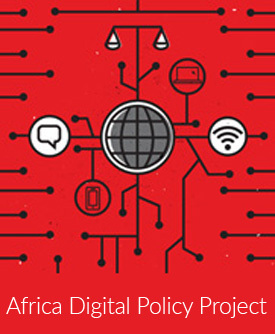 The study assesses the ability of current multistakeholder initiatives to provide Africans with a compass to guide them through the miasma of cybercrime, political surveillance, censorship and profiteering that threaten the openness of the Internet. The Internet governance research project has been initially funded with seed funds by Google in 2012 and 2013, and in 2014 is made possible with the support of the Center for Global Communication Studies at the Annenberg School for Communication at the University of Pennsylvania, under its Internet Policy Observatory.